Dr. Frank Yu is Associate Professor of Finance at CEIBS. Dr. Yu received his Ph.D. degree in finance from the University of Chicago and was a faculty member at the University of Minnesota from 2005 to 2007. Prior to joining CEIBS, he was a quantitative research analyst with Barclays Global Investors from 2007 to 2009. Dr. Yu’s main research interests focus on empirical corporate finance and behavioral finance. His publications appear in Journal of Financial Economics, Journal of Financial and Quantitative Analysis, Journal of Consumer Research, and Journal of Behavioral Decision Making. 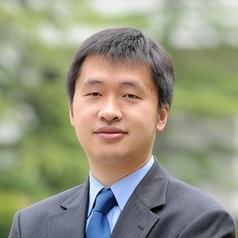 He has won the 2013 CICF Best Paper Award, the 2013 TCFA Best Paper Award, the 2010 CEIBS Teaching Excellence Awards, the 2014 CEIBS Research Excellence Awards, and the Beijing News’ Young Economist Award. He is currently teaching “Corporate Finance” for MBA programme and “Quantitative investment” for FMBA programme.